How long can you be lazy and keep on inventing excuses for not doing something? We have understood that it is possible to do it for quite a long time, but eventually we got tired of being lazy or even start to become lazy of being lazy and this very moment is finally here. 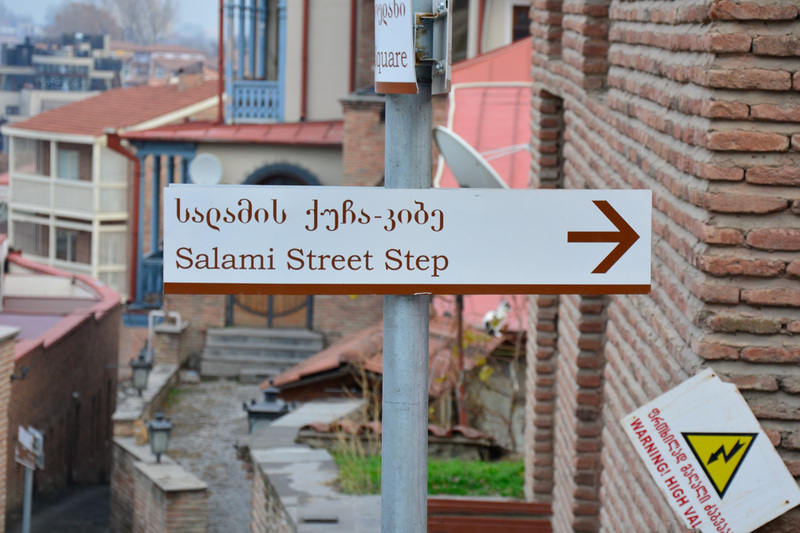 So finally, after several months, we present to you recap of our Georgian adventures. Before you start to read this very long article, I would like to point out that unfortunately not everything is covered in this blog post and even some of the things that are covered have not been covered in full detail. We spent the next day in a much more inhabitable environment, but even there the room temperature was around 0 – maybe that was the reason why this room was used as a substitute for a refrigerator. 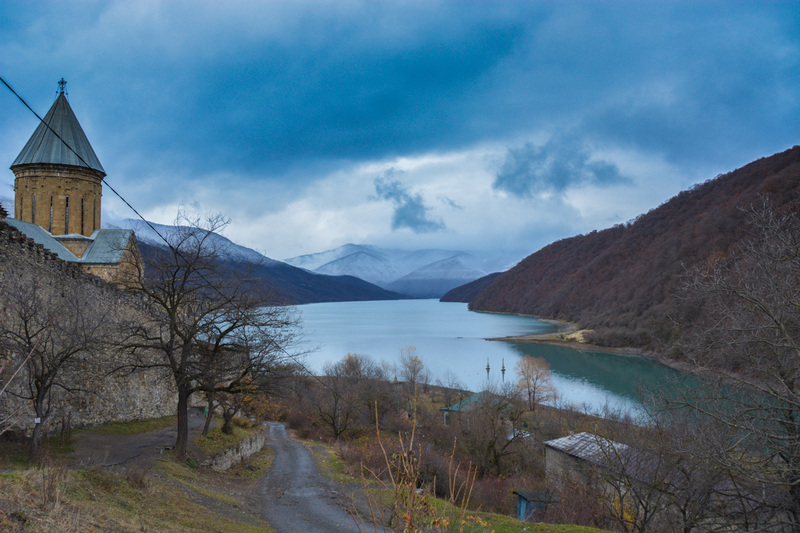 As it was written in the previous article, we entered Georgia from the territory of Russia, cycling/hitchhiking over the very heart of Caucasus Mountains. We were greeted by beautiful but bitter winter, the very same winter from which we had hoped to run away. 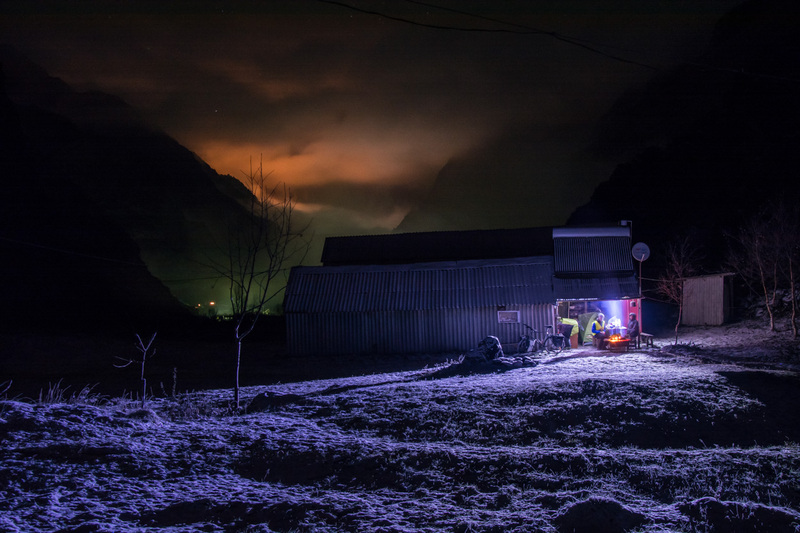 The arrival of winter forced us to make some adjustments for our already adjusted plans – the heavy snow erased every hope of reaching the Jvari pass on a bicycle. We had to look for a different means of transportation. When we reached the road leading to the Jvari pass, it was evident that it won’t be possible to cycle over the mountain pass. Fortunately everything worked out better than expected, we crossed the 2379 metres high Jvari pass stuffed in a Mitsubishi off-roader thanks to the local road maintence crew. Without the help from the road crew, we definitely would not have been able to cross the mountain pass, as the layer of snow was already way above our ankles. 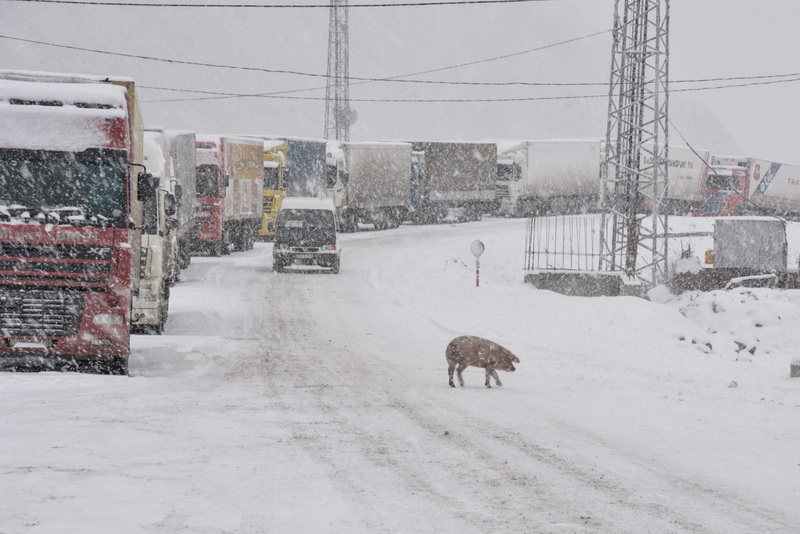 After crossing the mountain pass, all we had to do was get to Tbilisi which was not more than 110 km down the road. For me it meant a very tiring and wet bicycle ride, but for Ivars and Laura it was more about fishing cars at the roadside. All is well that ends well – wet, cold and miserable I managed to reach the city and reunite with the rest of the crew at the headquarters of the tourism company “Explore Outdoor”. In Tbilisi the travel never ends (at least for us it never ended) even if you stay there for three months. 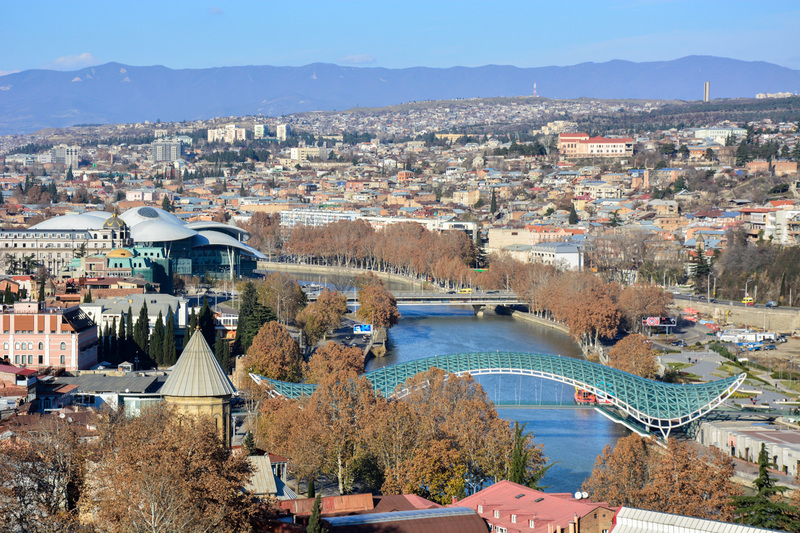 While living in Tbilisi, I had to move from place to place more times that I have ever done in my previous life. I am not saying that it is a bad thing per se, but sometimes you get a bit fed up with packing and unpacking your stuff. 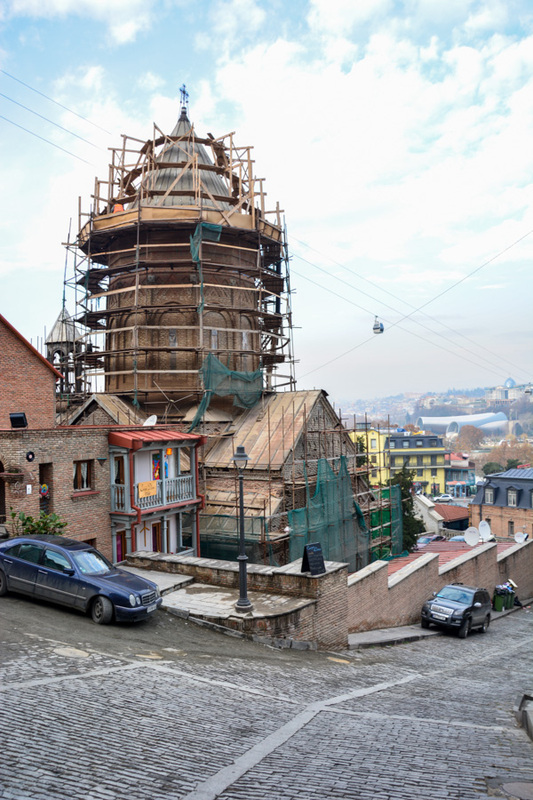 Whenever we had made ourselves comfortable with the new environment, something happened and we had to move on to another neighbourhood of Tbilisi. Our life in Tbilisi started in the main office of Latvian company Explore Outdoor in Machabeli street, in the very centre of the city. 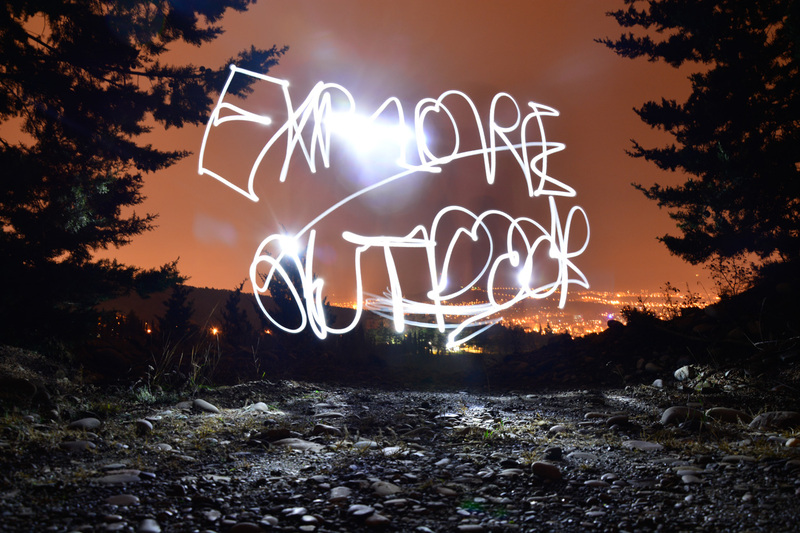 Now is time to say very big and sincere thank you to all employees of Explore Outdoor, specially to Agris Ziemelis and Katrīna Lipšāne. 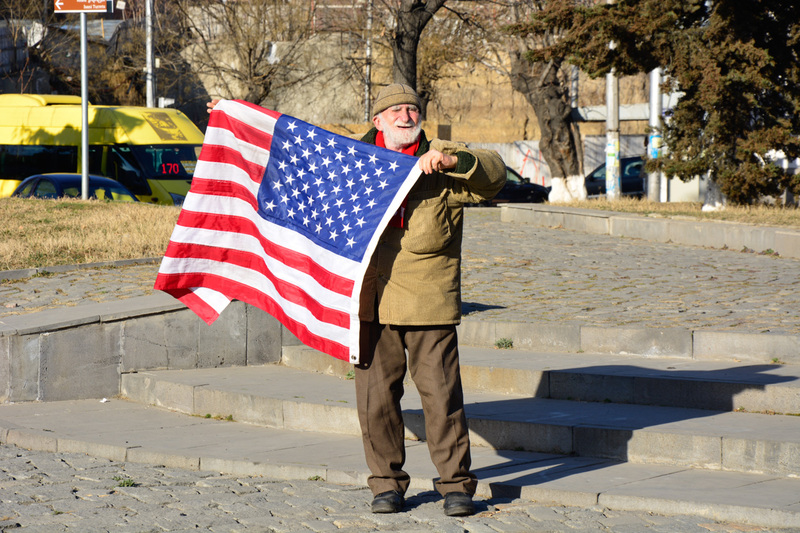 Without their help our stay in Tbilisi would probably have turned out to be quite different. Keeping this in mind, maybe we also have to say thank you to the Latvian NGO “Jaunie Vanagi”, because only thanks to them we got to know Agris and Katrina. If you plan to visit Georgia in the near future and you are looking for something different from the mainstream touristic activities, maybe this is the best time to check out what Explore Outdoor has to offer. We have seen with our own eyes that Explore Outdoor is definitely one of the most professional provider of tourism related services in Georgia and maybe in all Caucasus region. We are not saying this because they are from Latvia, or because they have helped us, but because we believe that services that they provide are really worth the money they are asking for them. After twelve nights in the apartment at Machabeli Street, we had to look for a new place to stay. 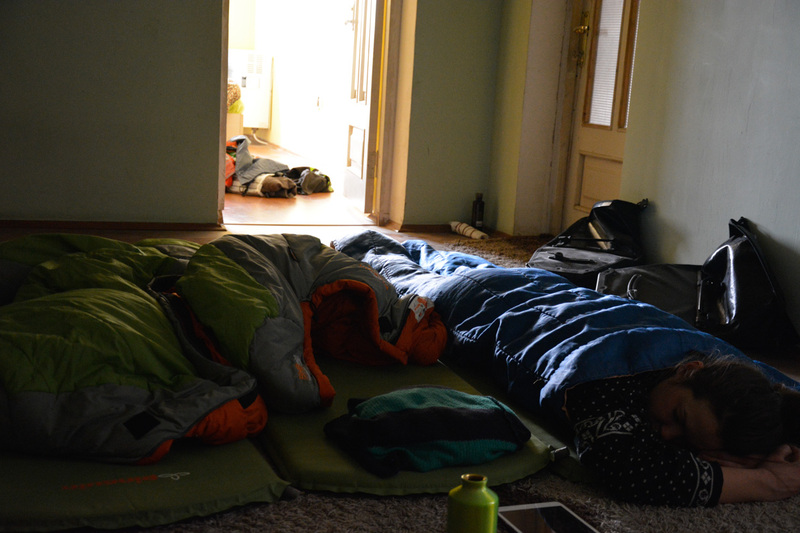 Fortunately without any real problems we found a perfect spot – small apartment overlooking the old town of Tbilisi. This time we are very grateful to Keti Vardosanidze and Mariam Tutberidze for helping us out. I got to know these Georgian ladies while I was still studying in the Latvian University. At the very same time when I was finishing my master studies, they happened to do the same just few blocks away in Riga Graduate School of Law. Our safe house on Salami Street was maybe the best apartment in the whole city – the view was just magnificent. There was just one catch – in order to enjoy the beautiful view, every day you had to climb at least 141 steps up the hill. Unfortunately we could not stay there for long, as after 12 nights we had to move to a jet another new place. This time when we had to move we actually did not know what really to expect, because the place where we were moving to and the people we had to live with, were almost completely unknown to us. 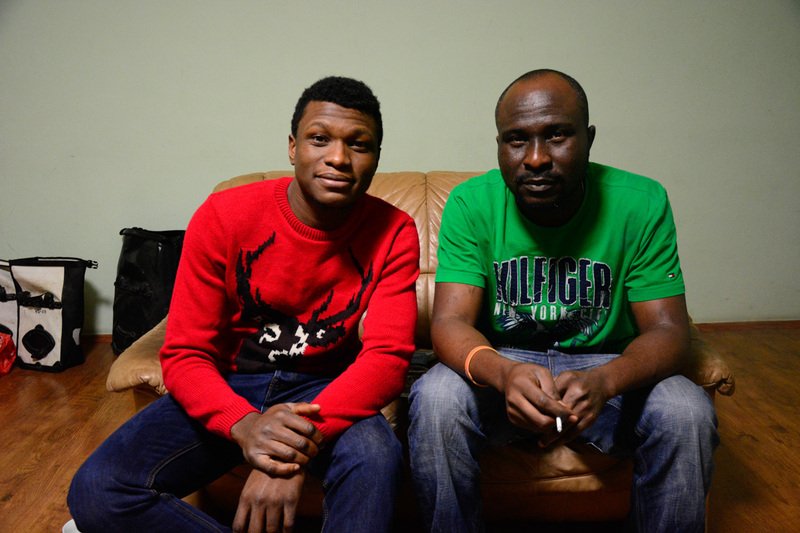 Long story short – we got to know Nick Erhis Abinogun (student from Nigeria) during a music video shooting for a Georgian hip-hop/rnb superstar BERA. When we met Nick for the second time during a crazy party, he offered us to stay at his place in Saburtalo. The time we spent living together with Nick and his flat mate turned out to be the most memorable time in Tbilisi. Here we had the craziest nights, met the most interesting people and had the most terrible hangover mornings. Among all these adventures, the encounter with Nick’s landlady Mrs. Lizi was the most memorable. Leo and Teo, Nick’s friends and for a while our flatmates. Our relationship with Mrs. Lizi started as just a bit annoying – from time to time she turned up with a group of Georgian people who apparently had some interest in buying the apartment. The problem was that she almost never bothered to arrange this surprise visit with Nick or with somebody else and thus sometimes we were woken up by random Georgians who wanted to examine the bedroom. Mrs. Lizi just didn’t care. But his was not the biggest annoyance – the real fun started during the time when Nick had to pay rent. 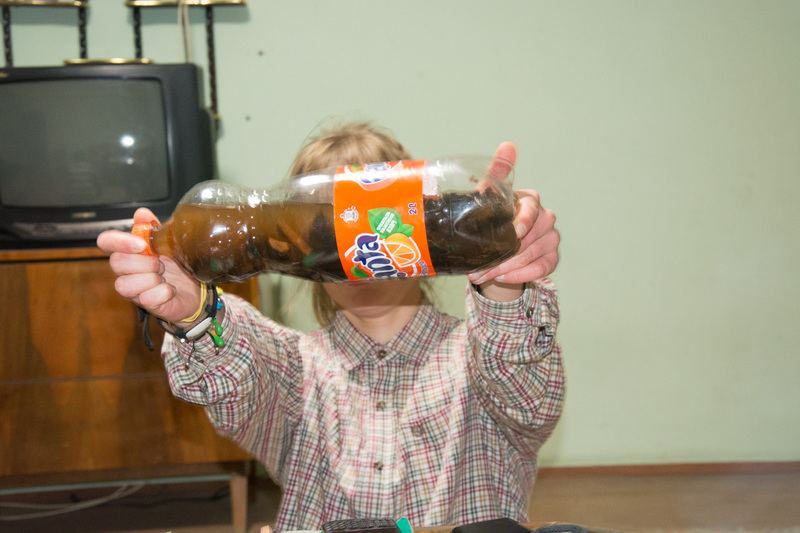 She turned up with two weird looking Georgian men (one of them was her uncle and the other – a colleague from police force) who had one simple task – to intimidate tenants by smoking a lot of cigarettes, walking around the apartment and occasionally shouting something in your face. Sometimes it is hard not to get pissed off at Georgian macho men. 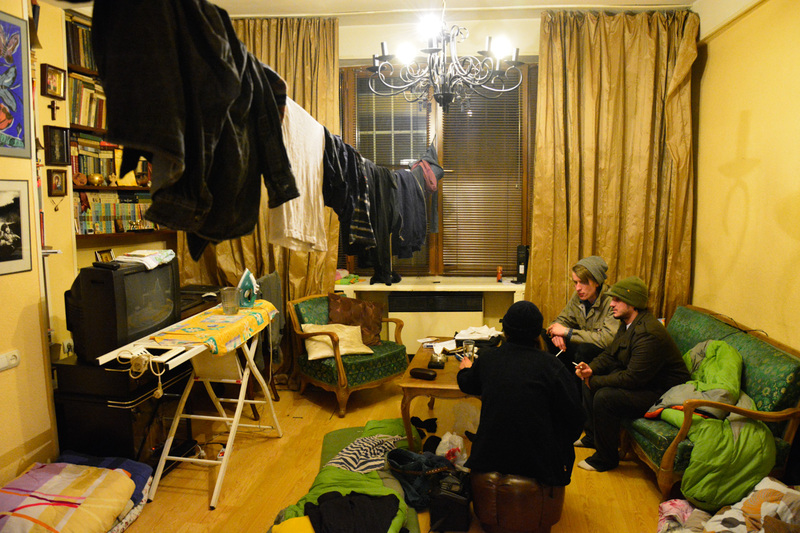 Mrs. Lizi apparently was not very satisfied with the fact the three random vagabonds from Latvia had occupied her apartment. She came up with an ingenious theory – previously mentioned vagabonds from Latvia are definitely paying enormous sums of money to the self-made wannabe Nigerian landlord – Nick the Nigerian. It was almost impossible to persuade her that we actually don’t have any money to pay and we had to show her a recent article from local newspaper “Georgia Today”, who luckily featured a short interview with us. Maybe this was sufficient, but truth be told we still don’t really believe that she changed her mind. In the end all the tenants of the apartment decided to leave Mrs. Lizi alone in her precious flat and to move on to a better place. In this apartment at Saburtalo we had spent 40 nights constantly fighting with a very old and stubborn gas water heater – in order to get hot water we had to turn the this monstrosity on and off for some fifteen minutes. After the encounter with Mrs. Lizi we had to find a place to stay on a very short notice and for the second time during our stay in Tbilisi, Explore Outdoor saved the day. This time it was only a temporary solution, as we know from the very beginning that we will have to move at least one more time. Fortunately our participation in music video shoot for BERA (his full name is Bera Ivanashvili and he happens to be son of the ex prime minister and richest person in Georgia – Bidzina Ivanashvili) had introduced us not only to the Nigerian Nick, but also with a most unusual group of Americans – Eric, Lee and Michael. We all had much more in common than just our carer in the entertainment industry and over time we became very close friends – probably because of this the Americans (as we collectively called them from the very beginning) offered us the possibility to crash with them for some time. 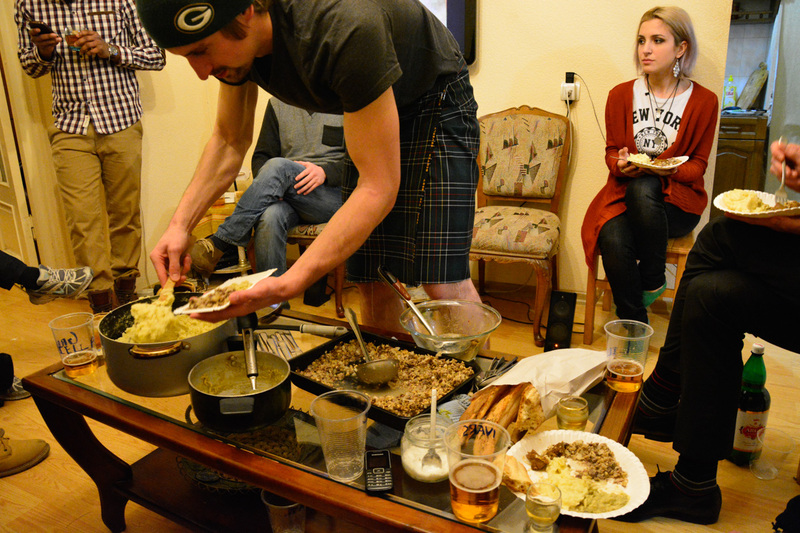 And once again we were lucky with our hosts – the Americans (especially Michael and Eric) were excellent chefs. Without any crazy landladies and any other serious problems we lived as a big family, until the time came when the “BERAs fellowship” came to an end. Before saying goodbye we managed to introduce the Americans with the most famous Latvian ice-hockey player – Zemgus Girgensons. His name turned out to be a real tongue twister for them and thus Eric invented an alternative – Zambo Johanson. In addition we informed about the former Latvian colonies in Trinidad and Tobago and Gambia. Unfortunately also all good things come to an end and the first one to leave the fellowship was the potato lover and undisputed champion of free-style wrestling – Eric. He had to return back home to Wisconsin to work in the family farm. After a week or so, it was time for the champion of philosophy and the biggest womanizer Lee to head back home. The last American standing was Michael who wasn’t a big fan of Israel’s politics, although he was a Jew as he himself proclaimed from time to time. Michael had planned to become a full time English teacher somewhere in a remote village in Georgia. All this meant that we also had to move somewhere else. 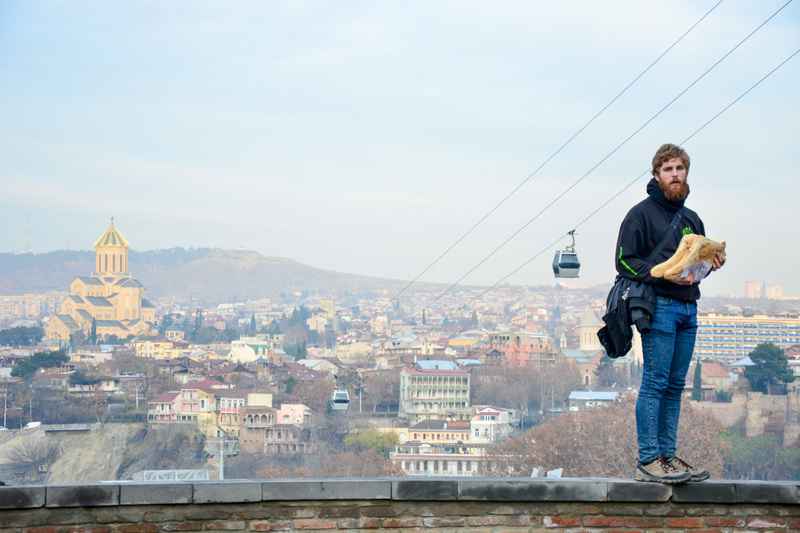 Our travel in Tbilisi came to an end thanks to yet other members of the fellowship – Chemtai and Anton were living together as a couple and they did not hesitate to help us with a place to stay. Here we proved one more time that we are capable of making a complete mess even in the tidiest apartments only after a couple of days of staying there. 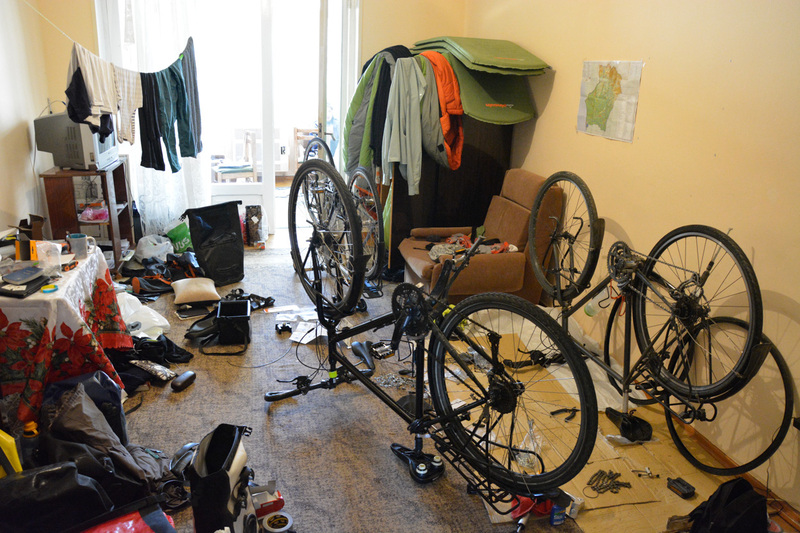 The floor of the living room was lined with our stuff – bicycle parts, bicycles, camping equipment and everything else we had with us. Chemtai and Anton were the most lovely hosts and wonderful friends and thanks to them we did not have to move anymore. It seems after all that it is impossible to write about three months in one single article. 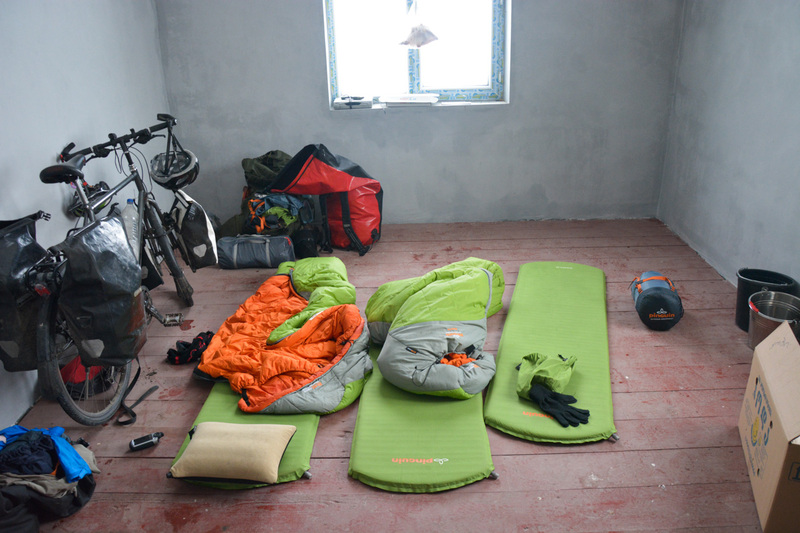 In part 2 we will write about how we managed to get money, bicycles and friends. This entry was posted in Georgia and tagged Adventure, Bicycle Touring, Expedition, georgia, Latvia, New Zealand, Pitt Island, tbilisi on April 29, 2015 by Dainis Pudelis.